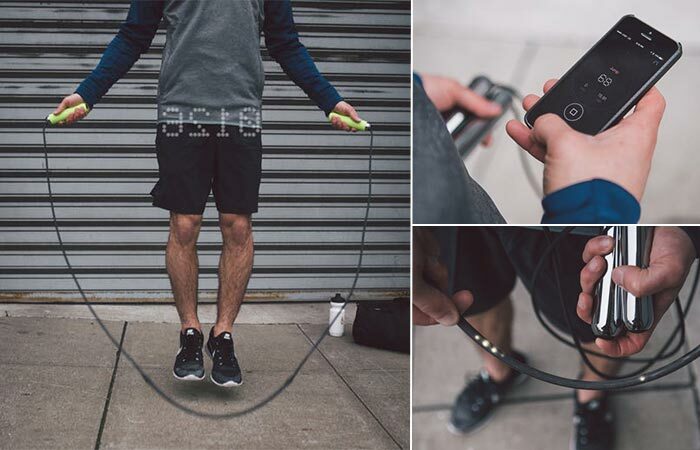 Smart Rope combines the age old skipping rope exercise with technology. How? It displays your fitness data clearly by counting your jumps. It features a sleek design, ultra comfy grips and LED-embedded display that allows you to work out at night. Simply connect it to your smartphone and it will track jumps and other stats like calories burned, work out time, how close you are to your goal as well as total metrics over the course of one day. It takes 2 hours to charge it and the battery lasts for 36 hours of use. You can get it in different grip colors. With over 10 thousand customer reviews and an average of 4.3 stars on Amazon, Fitbit Charge 2 is one of the most popular fitness trackers on the market. Probably its most important feature is the heart rate tracker that allows you to get the most out of your workout, track calories and monitor your health. You can also have personalized breathing sessions based on the real-time heart rate. 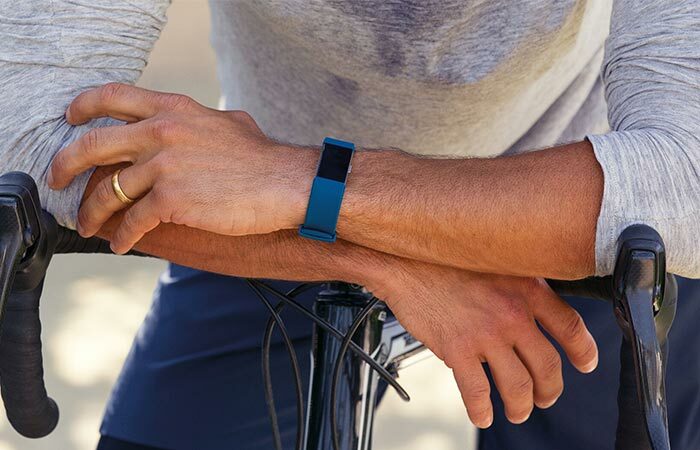 Fitbit Charge 2 syncs wirelessly to your smart devices so you can use it to call, text and set calendar alerts. This all-day activity tracker also features auto sleep tracking, reminders to move, interchangeable straps and long battery life that lasts up to 5 days. Kettlebells can be used for all sorts of exercises- squats, throws, cleans, jerks, snatches, and rotational swings. SPRI Deluxe Vinyl Kettlebell is designed for ultimate functionality and comfort, proving you with a way to spice up your workout. Since this one is encased in a durable vinyl coating, you won’t damage the floor with it. Also, the handle is wide, allowing a comfortable grip. Use it to develop muscular strength and endurance while burning calories. Available in different colors and weights. 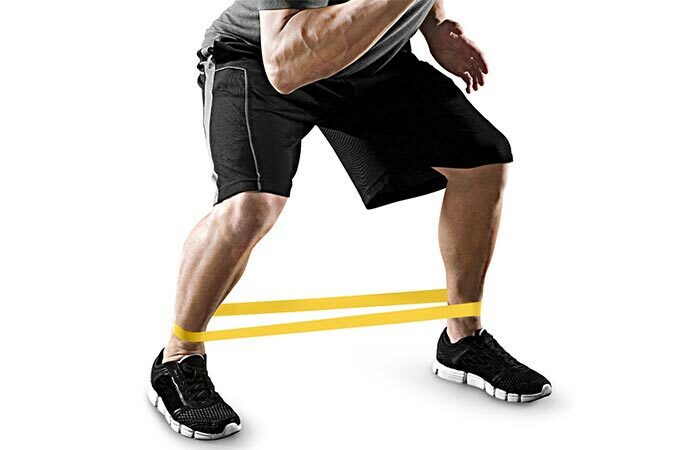 These high-end exercise bands come in a pack of five, each one with a different resistance level. Extra light and light bands are suitable for beginners. If you want an advanced training, you can use medium, heavy or extra heavy bands. They are made of 100% natural latex, making it easy on the skin. They are also great for any exercise, whether you’re stretching, doing some power weight programs, Insanity, Crossfit, Yoga, Pilates, you name it. All five are packed in a carry bag so you can use them as a part of your travel fitness kit as well. TRX suspension training was first invented by a Navy SEAL squad commander who wanted to stay fit while being at home. The one we’re talking about today will give you an effective total body workout. 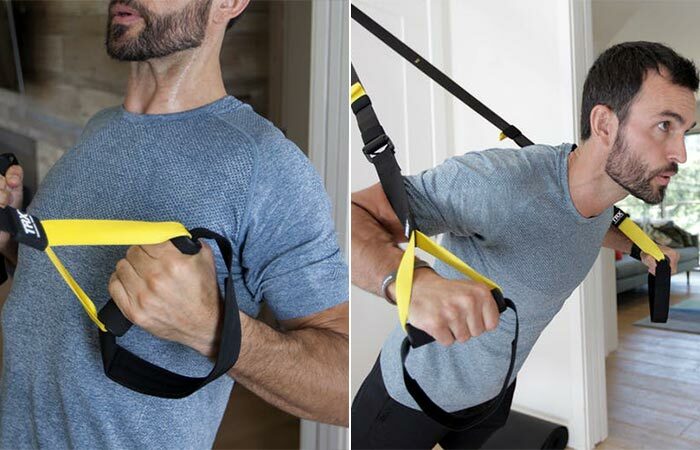 In the set, you get a TRX original suspension trainer, 8 TRX workouts, 7 simple moves chart, and two anchoring solutions – door and suspension anchor. Everything can be stored in a mesh carry bag that packs up nicely and makes it convenient to carry. It takes only seconds to set it up and is made as a one-size-fits-all. Besides the original, you can get a minimal or tactical system as well as various mounts. 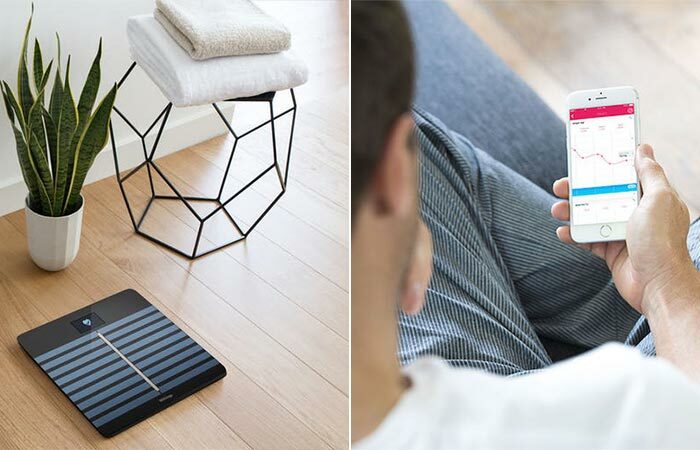 Withings Body Cardio Scale gives accurate weight and body measurements. It’s made from a thick solid aluminum base and tempered glass, both designed for durability. The scale provides different advanced data-measures your weight, BMI, body fat, water percentage, muscle and bone mass. There’s, of course, the heart rate monitor with a new addition- a pulse wave velocity. You can connect the scale to an app and get all the stats there. Not to forget the smart display that can recognize up to 8 different users and show you a local weather forecast. Finally, there’s an amazing battery that can last up to 12 months before you have to recharge it using a regular micro-USB cable. Available in black and white.